Users who lost money when QuadrigaCX went offline may start to get answers. Approximately 115,000 users lost a combined $260 million dollars in cash and cryptocurrency when QuadrigaCX’s CEO Gerald Cotten, 30, of Fall River, died in India in December. 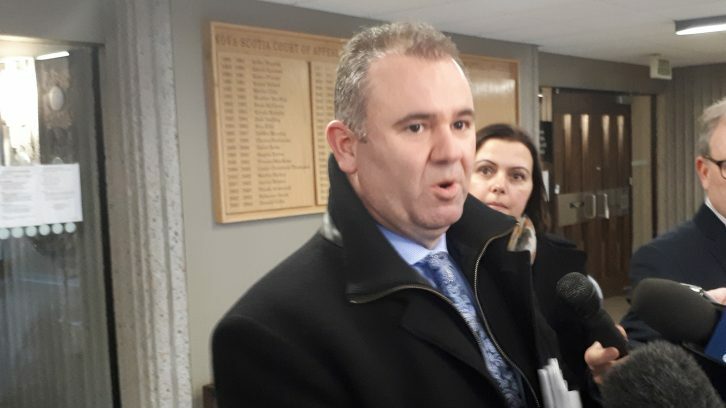 On Tuesday, Nova Scotia Supreme Court Justice Michael Wood protected QuadrigaCX from creditors and gave users of the exchange 30 days to organize. The users — some of whom have not been able to access their money for months — must identify themselves to court-appointed monitor Ernst & Young Inc. to get their money back. “Today is a day one of what’s probably going to be a very lengthy process,” said George Kinsman, of Ernst and Young. He said there had been a lot of rumours and speculation, and people should take some comfort in the fact this is now a court-supervised process. The case is unusual because QuadrigaCX’s restructuring deals almost exclusively with cash or cash equivalents like cryptocurrency. Normally when a company files for creditor protect, it has assets, property and a product — all of which can be liquidated. In this case, there are three bank drafts totalling $55 million, which can’t be cashed because QuadrigaCX doesn’t have a bank account. Cotten’s laptop is thought to be a possible location of $180 million in missing cryptocurrency. Raj Sahni, a lawyer representing users hurt by QuadrigaCX’s disappearance, has a lot of concerns about the missing money. Ernst and Young will be placing a notice on its website, QuadrigaCX’s website and two Quadriga subreddits telling users how they can get their money back. The case is expected to continue on Feb. 14, when the judge will review motions submitted by potential creditors. You say that users must identify themselves to get their money back; where have you found this information. I would love to be able to identify myself and I’m totally in the dark right now. Thanks in advance. And thank you for the coverage of this unbelievable story.